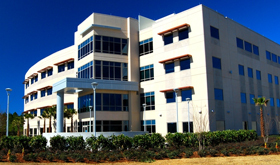 The Federal Bureau of Investigation (FBI) partnered with US Federal Properties (USFP) to develop a four-story, three-building office complex with a detached parking structure that houses the FBI field office in Jacksonville, Fla.
With a leasable office area of approximately 130,000 square feet, the complex also has an attached one-story annex building that has been designed to facilitate a three-story addition with minimal disruption to the occupants of the original phase. 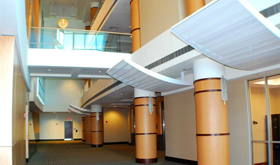 The facility’s interior design is structured around layers of security and a procession of accessibility separating public and secure destinations within the building. The project was completed in February 2009.